On Friday, November 6, two of the largest and most successful programs in the Rio Grande Valley came together to thank the Harlingen community for supporting students with the passing of the tax ratification. 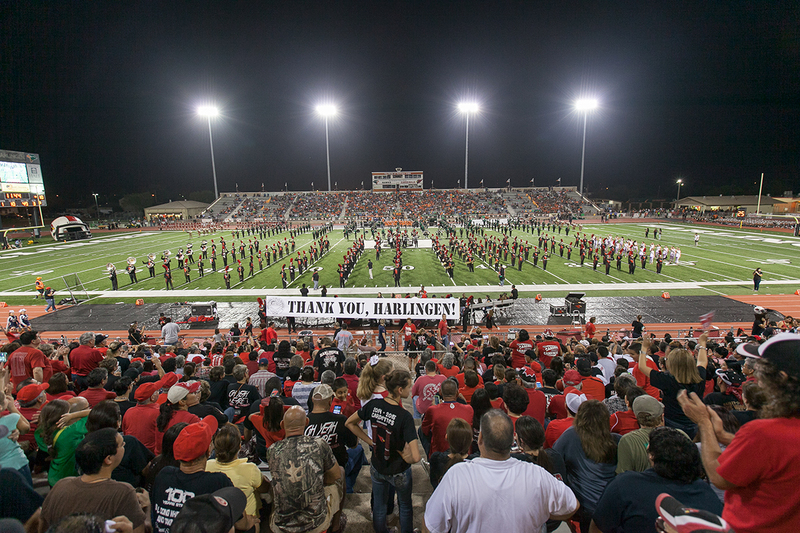 Harlingen High School South’s Head Band Director Shane Shinsato spoke for both high school bands as he expressed the impact that will be made in students’ lives because of Harlingen’s investment in education. 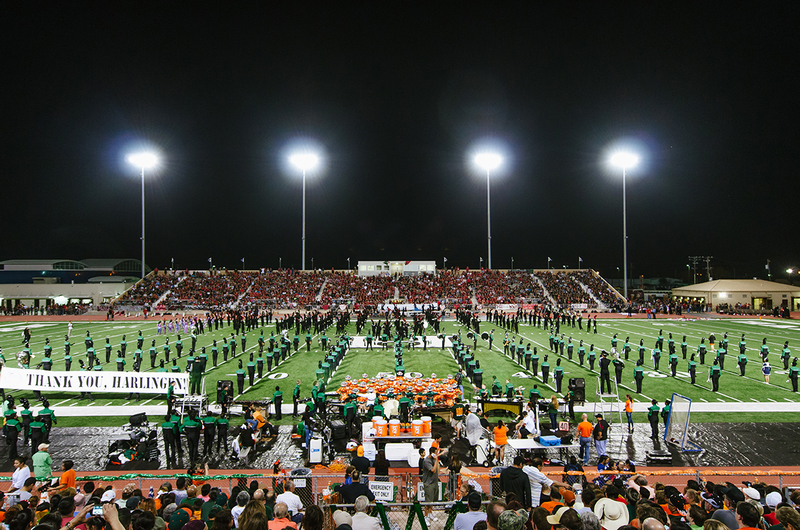 The bands took the opportunity to showcase newly purchased instruments with a special performance at halftime. So far this year, a total of $305,000 in musical instruments have been ordered as a result of the tax ratification.